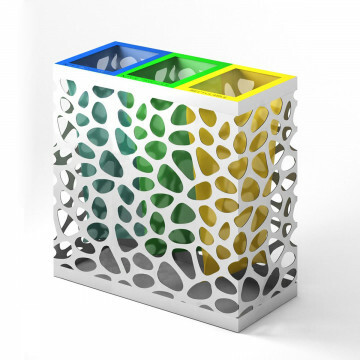 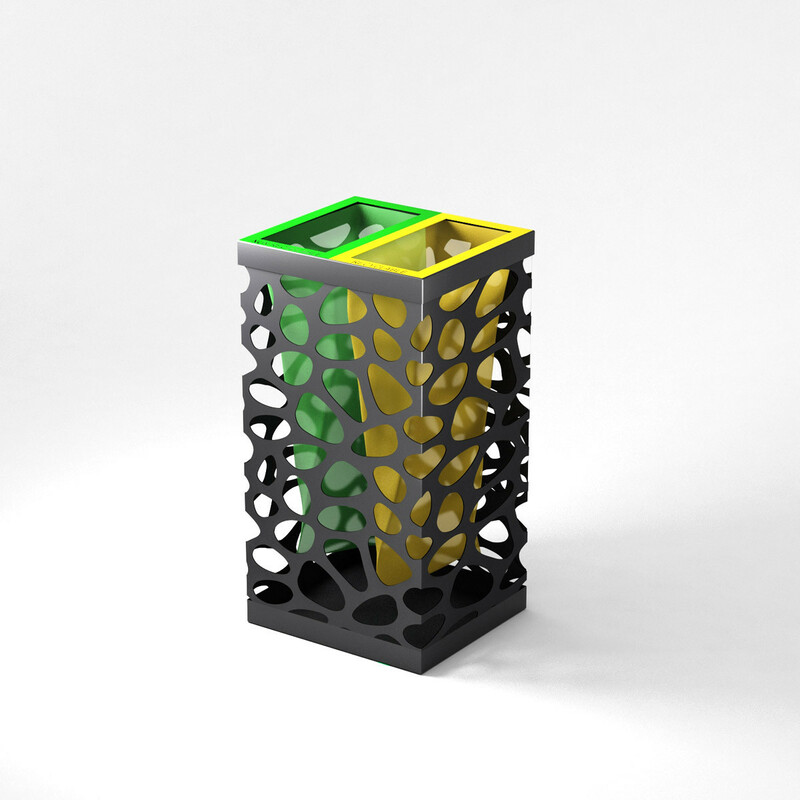 Elegant two-section bin for waste recycling. 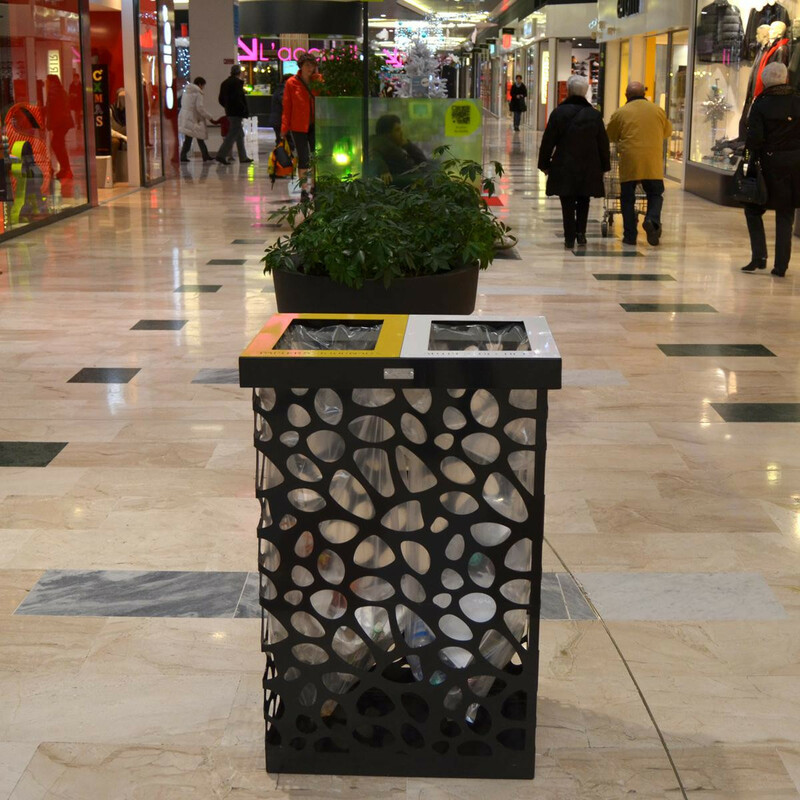 Already sold abroad in several shopping malls, PEB is the ideal container also for shops and airports which look for something attracting, which catches the attention of passers-by, and encourages recycling. 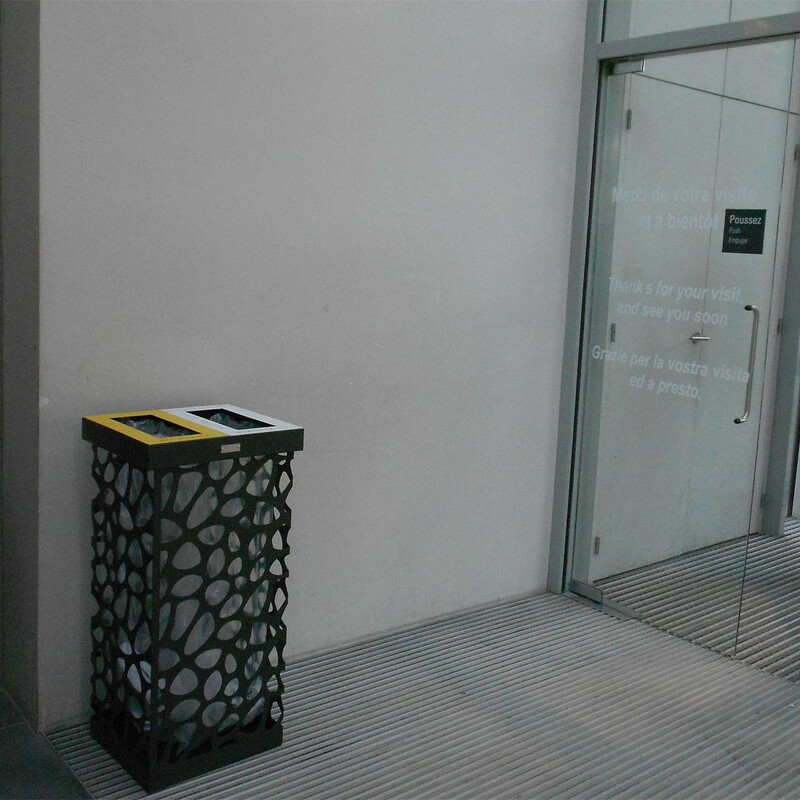 The plaques identifying the waste to be thrown in the bin are customisable in writing and colours. 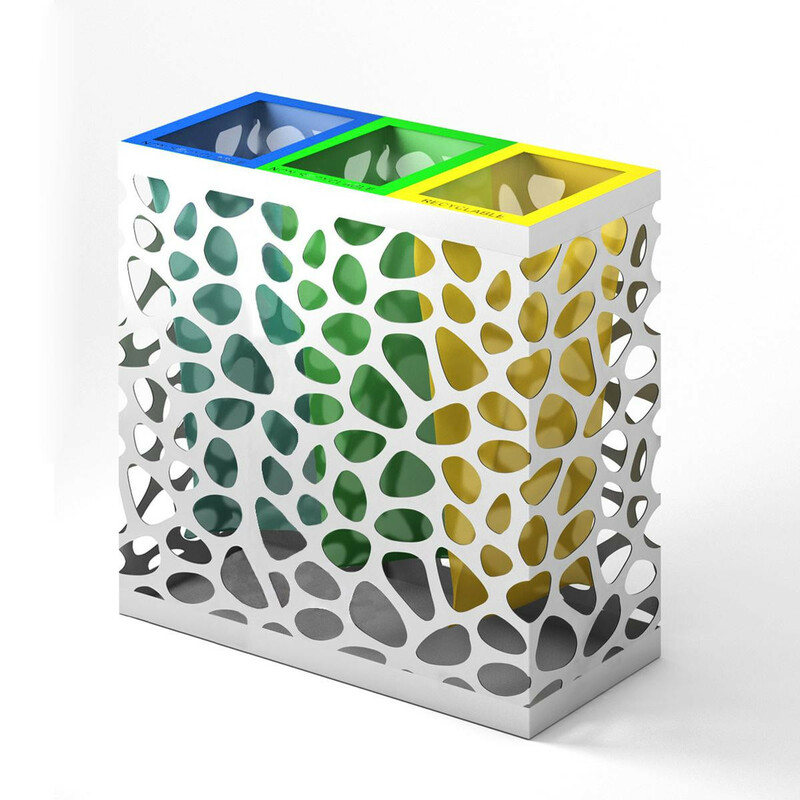 PEB is available in the MINI and MAXI size.